The World's Fifty Best Works of Art? The World's 50 Best Works of Art (and how to see them) in the opinion of critic Martin Gayford. This sort of list is pretty personal, of course (no work by artists known to be women at all? Really? What about Kauffman, Valadon, Gentileschi, Kollwitz? ), but is a good starting point for travel and armchair explorations. Some links to the work in question would have been good. At first I sniffed and bristled at his choices (Too European! Too Ancient! Too Religious! Too This and That!) but then I actually calmed my American-centric self down and LOOKED at some images of his choices. I gotta get out and see the world. I think I may be over invested in my favorite artists in that I feel personally wronged by the absence of Marcel Duchamp in his list. None the less, although I don't think he's listed anything awful, It does kind of feel like he's not always listed the best but rather the best known. I don't know, there's no accounting for taste. I clicked the link without reading the note on the lack of female contributors and felt robbed that there was no Frida Kahlo. Lichtenstein, but no Kahlo. Ridiculous! Most other choices are really fascinating, although having the list be almost all text with only a few images is kind of weird. I got a long way to go to finish that list. So far I've seen the things that are in NY, london, paris, madrid, or amsterdam, which are mostly paintings... also the terra cotta warriors. It's a list, so there will be quibbles, but it's quite a cool list and not what I expected. The token modern items are pretty rubbish though, it would have been better if they just explicitly ignored the last 100 years as "too soon". Kahlo is wack. Where's the Victory of Samothrace? Honestly, if you can book a tourist group to either of them, I don't think you could classify getting to Ajanta or the Nasca lines as "hellish." I liked the pre-historic inclusions as they set off the list from an Art History 101 syllabus, but otherwise it reads very standard. But the standards are standards for a reason, I suppose. The best art of all are the cave paintings. There, struggling to survive, stay warm, find food, and not get eaten as food themeselves, some human beastie passed the time drawing his/her world or outlining their hand with blown pigment. I think that speaks to the inherent necessity of art more than any "great" work. I balked at Lichtenstein, too. Before Warhol? An interesting list for pages 1-2, but the modern selections are so conservative. No Ensor, no Bacon, no Watts Towers, no Klein, no dada or surrealism, not even Courbet's L'Origine du monde. If I'm going to consider traveling halfway across the world to see art, I'd like it to provoke. Earlier (but different) 50-best-works list, with links. No Half-Life 2? This list is a travesty! I can't help but notice that Gayford uses the word "art" synonymously with "visual art." That would explain the exclusions of Hamlet, Mozart's Requiem and Sgt. Pepper's Lonely Hearts Club Band. What everyone said about the lack of female artists (we can't be sure of some of the antiquities, of course, though I guess it's unlikely) and I was prepared to be all sniffy about his choices -- except! Except! I went in thinking, "Ahh, he'll never have Brueghel in there." And boy was I wrong! 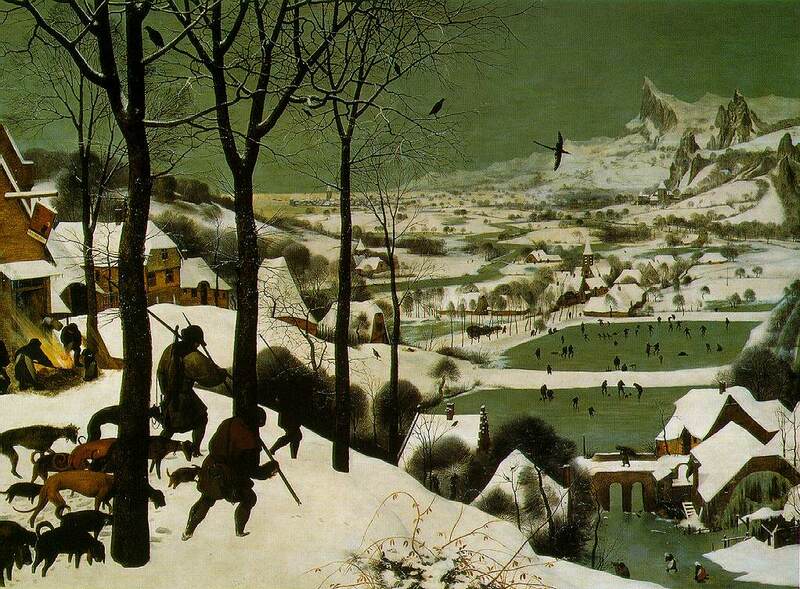 In fact, he has my hands-down all-time favorite Brueghel painting, Hunters in the Snow, at Number 15. Sublime. I could look at it forever. So I can't fault the dude's taste. Here are links for the first 25. They may be a bit random. I'll try to do the second half later today. I'm trying to finish a paper, but on the other hand am doing so whilst listening to LN's music, so owe MF something. Thanks for your link, kirkaracha - I remembered your post, but souldn't track it down as it was longer ago than I thought. What? No Jackson Pollock? No Roy Lichtenstein? No [insert names of other famous artists I happen to have heard of]?? Also, your favorite artist is not on this list. 23) the author seems to have skipped number 23, so I guess this is the 49 greatest works of art. batmonkey, no Kahlo? Unless I missed something, there are no women whatsoever on the list. Apparently we've spent the last 20 centuries just being the models. sour cream: numbers 47 & 48. There are no women because the pursuit of art has always been white boys with leisure time and white boys with connections to the wealthy or the church unless you are talking about indigenous art which this thread is not. Not a lot has changed for women artists, it is still very much a white boy's game. The Guerilla Girls in the late 70's and early 80's blanketed the streets of NYC with posters about the facts and figures and reality of women artists and gallery representation and not a lot has changed since then. Unless a female artist has a gender neutral name, women artists are still herded into descriptions of their work that references their gender in some way or another whether or not the artist had any intention to do so. madamjujujive, I certainly don't want to defend the selection, but I'm not sure that this particular list does demonstrate women as the object of the male gaze. The subjects are quite diverse: male rulers, male hunters, male warriors, gods and giants, landscapes, Buddhas, mythological creatures, a couple, abstract patterns, Mary, male and female saints, cities, plants, prostitutes, a 'plane ... Possibly the closest to the male gaze are the Demoiselles d'Avignon and the Lady with Ermine. Otherwise, the subjects seem remarkably women-free. Here's how Constable's Cathedral and Vincent's Chair looked this afternoon. Man, I love wikipedia. I'm reading about da Vinci's "Lady with an Ermine" and they just had to include the monstrously important piece of information that it was the inspiration for a painting in Pratchett's Discworld books. Because nothing is so important that it isn't improved by a Discworld allusion. Anyway, I've seen (in person) one of the things on this list. Yeah. Smithson's 'Spiral Jetty' looks dumb, but maybe you have to see it in person. Spiral Jetty isn't dumb at all. Why would you call it dumb? It is environmental art. Just because you might not take the time to understand something doesn't make it dumb. Because it appears neither particularly emotionally provocative nor particularly beautiful, which are the two things I look for in art. But, as I said, perhaps you need to see it in person. What was most curious to me was the discrepancy between the criteria applied to 'contemporaneous' art works versus "not." The old works he picks out are ones with emotional resonance, that still have an impact - not the ones that demarcate the beginning or end of an aesthetic era or set of ideas. Yet with the art of the last 150+ years, that's largely what he has done. And that pisses me off. Giacometti should be there, as should Serra. 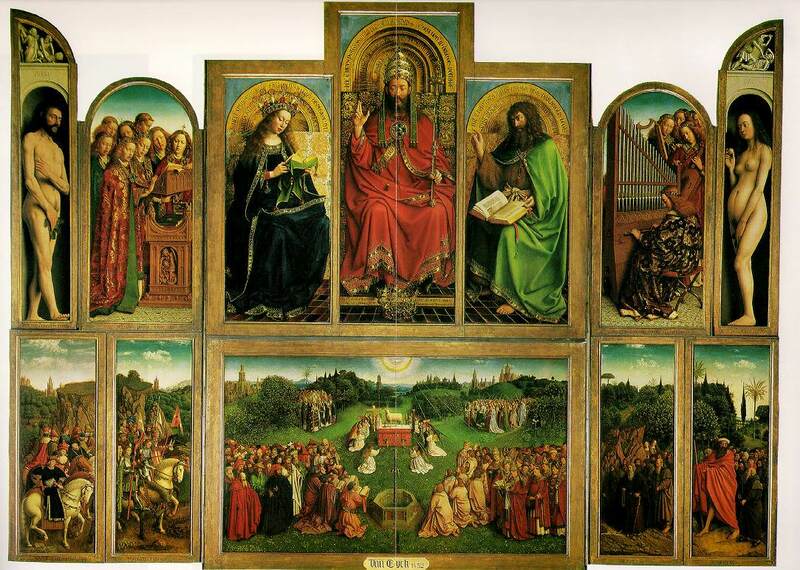 A lot of the paintings he mentions are, undeniably, great paintings, but 'greatest?' Géricault? A really interesting list though, at least pages 1-2, full of a lot of stuff I'll look for. Spiral Jetty was a ground breaking environmental piece. It was an actual made made large scale work in the water. It no longer exists so you can't see it in person. It shifted a perception, a way of looking at something taken for granted and that is what makes it good. Andy Goldsworthy is of the same ilk. Judging on beauty is also pretty shallow in terms of art. If you simply want beauty you could stare at wallpaper samples. Apologies-- it exists, there is talk of drilling near it and ruining it. The list has a host of stunning works a and a host of problems. He could easily have yanked Smithson or Judd (both of whose works are, don't get me wrong, spectacular and important) for Eva Hesse and at least made a gesture at inclusion. I totally agree that the better move would have been to skip the last hundred years entirely and claim "too soon" status. I mean, even if you want to stick to marquee contemporary names and white men at that, where are Jasper Johns and Ellsworth Kelly and Brice Marden and Robert Rauschenberg and and Robert Ryman and Dan Flavin (after whom Judd named his kid) and . . .
(Justinian: Yes, you have to be there. Judging on beauty is also pretty shallow in terms of art. Yes, god forbid that somebody actually enjoy looking at art. It's too important for that. Justinian: Beauty != enjoyment. Beauty ⊂ enjoyment. This list is terribly flawed. I'm not on it. Granted, I'm not dead yet. That's true and I shouldn't have equated the two. I don't believe they are completely unrelated but that's beside the point. I should have said; It is extremely bold to pretty much write off artistic beauty as 45moore45 did. I mean, it's only been one of the primary goals of art over the last couple thousand years. It's not like St. Peter's basilica was deliberately made to be beautiful or anything. It just leaves me flabbergasted that one of the most elevated pursuits in human history can be so cavalierly written off as nothing but shallowness. I agree and disagree with many objects on this list. I think there were many incredible works - in fact entire movements that deserve recognition - that were completely bypassed in favor of (Donald Judd? Really?) works that aren't nearly as powerful. But then, that's the problem with something like this. Even for a highly educated critic, the experience of a work of art is going to be highly subjective. His experience on viewing the work is going to be much different than mine. So he likes his 20th century and contemporary art MUCH dryer than I like mine. It's his list. 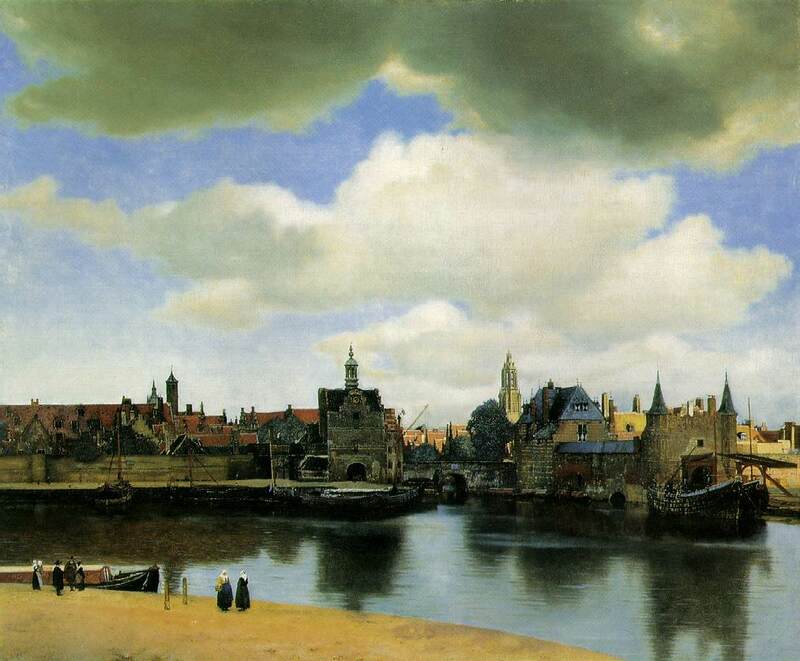 If he'd left Bruegel off, however, we'd probably have to fight. So wrong... so wrong... plus points for choosing non-obvious works from the old masters but the last century... no Hirst? No Rothko? No Warhol? And especially no Duchamp? I paint FAIL. Fountain really is a single work of art that changed the whole of art forever. Roy can Lichtenstein my balls.